Pretty sure Livingwood is from Botania. Is there any planned support for the mineralogy mod? Not sure why, but it seems that I can't chisel wood log blocks from the trees in RTG unless I break them and place them back. Maybe it has to do with how the logs are textured/etc with metadata? They have bark on all sides until chopped. For logs, I've only made it possible to carve into vertical logs [axis=y], the ones that don't have bark on top and bottom. 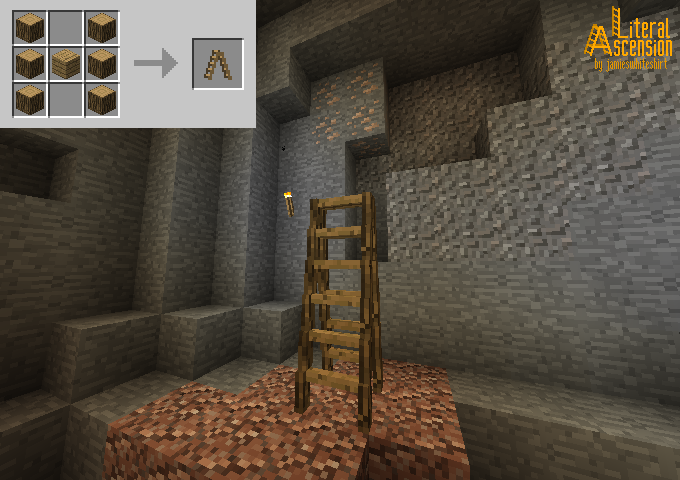 I figured this would be a reasonable limitiation since you would normally only need to climb blocks facing that way. If this RTG issue becomes too apparent I might look into it. Alright, that's fair. Just thought it might be worth bringing up! On a similar note with the carving tool, I can't seem to carve footholds into stone with either a wooden or stone carving tool. Does it need to be iron or better? I'm still early-game so I haven't had the opportunity to really test it. 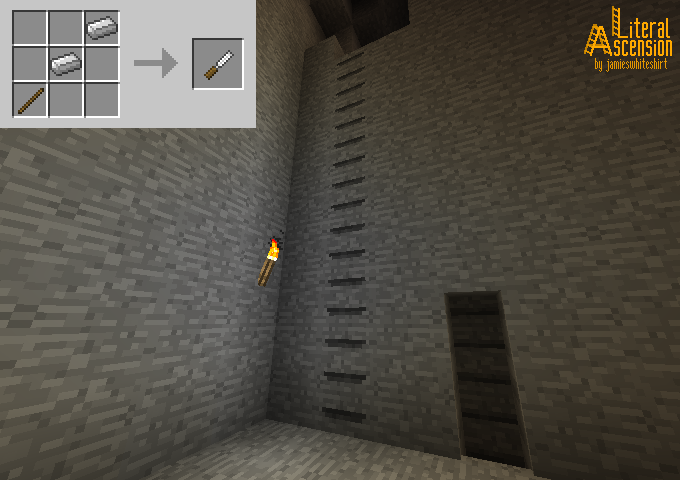 In Literal Ascension 0.0.2.0-0.0.0.1, a Diamond Carving Tool is required to carve stone by default. In the next (alpha) release, this will be changed to Iron Carving Tool or better by default. You can already edit the configurations now to change this. Please note that when you upgrade to the eventual version that changes this default value, you need to either reset the configurations or edit them manually when the change is applied. There are also a few other ways to configure Carving Tool behaviour when carving specific materials, which is explained briefly in the configuration file. If you experience any more issues or have any more requests, do not hesitate to let me know. Did you remember to install Shadowfacts' Forgelin? If you did, could I see a full crash log? I can't reproduce your error. What Forge version are you using? Do you have a crash log? 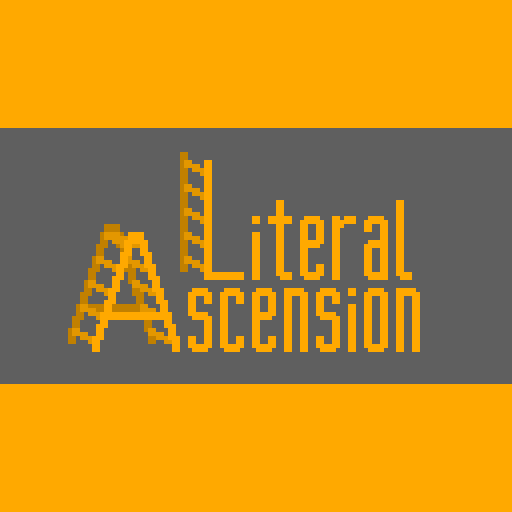 Was it Literal Ascension v0.1.0? Nice catch! Will be fixed for full release. Actually, nevermind, it's already fixed in 0.0.0.2 alpha. There's only one thing this needs. A grappling hook to throw up to a ledge above that drops a rope to climb. Really would be cool for mining walls of large crevices and such. Are non-player entities capable of using the devices? You don't realize what you're missing until you have it. Thank you for such a "duuh" but useful item! I'm assuming I am missing some Kotlin runtime stuff(? don't know much about Kotlin), but I shouldn't need to have it at all to use this mod. EDIT : Huh, making a new instance seems to have fixed it... no idea what was wrong. You probably didn't install Shadowfacts' Forgelin, which is a dependency. 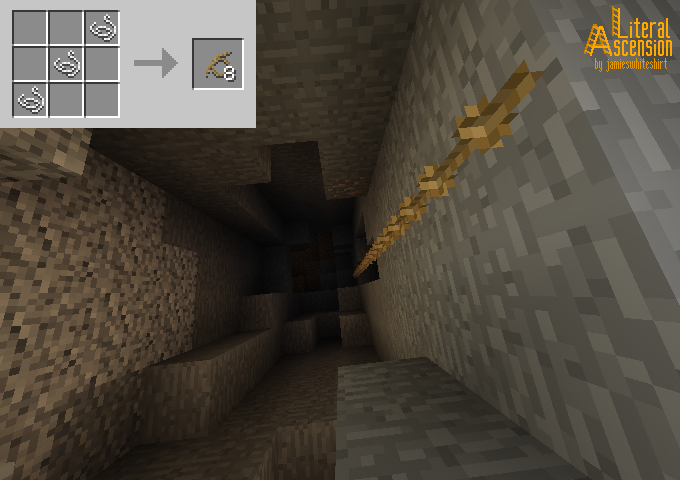 Just a thought, but what about climbing rope also being able to be fed from below to go upwards ? Or some other type of ladder that works that way.